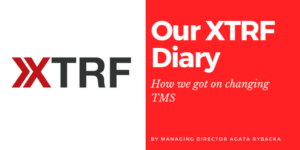 Our XTRF Diary - how we got on making the move. Earlier this month we made the big move to the world-renowned XTRF, Poland’s own Translation Management System. At the end of March, our system was ready to go, but we thought we’d share our journey with you so you can see how we got on. The system is clean and ready for users. Today, we’ve embarked on the massive job of inviting our translators to log in and check their accounts. Their initial reactions were enthusiastic. Surprisingly, only two people reported problems logging in. To be honest, we thought there’d be a lot more issues than there actually was. The office was pretty nervous as today was the last day using our old TMS. The team has been working tirelessly migrating over projects over the last few days. It was interesting to see how the team saw the task. Several members were quite relieved that the move was over, while a handful of the team was more hesitant about moving everything over just in case the system failed. I’m eager to see who’s right! XTRF is live and working! Our PMs waited several hours by doing all the mundane things in the office to put off using it. It didn’t take long though as soon there wasn’t anything to do apart from logging in and work on jobs and work their magic! I kept my door open listening to the office chatter from the team, expecting someone to need help…. It’s now past lunchtime and the whole team is working away happily, reminding each other how to find and do tasks. XTRF Support called to check in and to ask if we are alright. Everything is actually going fine! Several issues appeared during the day but we sorted them by ourselves. No overtime today! It’s now day 2 of using XTRF. As we dive deeper, we encounter more serious problems. Some actions cannot be canceled. Several mistakes appeared during the day but the workflows are becoming more fluent. We had to call support several times for help resolving some of the issues. In the end, no overtime again! After the issues we had yesterday, we were nervous about what might pop up today but in fact, there’s nothing interesting to report. Everything went smoothly and we even found ourselves wishing for even more swift solutions and enhancements. Every now and then someone says, what if this were possible? Soon it turns out that almost all our dreams can come true as the team finds ways to make them possible. The view editing option was the feature of the day. This week’s been nerve-wracking being constantly on call, waiting for a disaster that never happened. For the first time all week, I’ve been able to close my office door confident that the team are happy with the new system. I focussed on sorting the invoices and discussing finances which will be handled next month with some of the translators. Surprisingly, the translators seem to be very familiar with XTRF and in fact cannot wait for the new system to be in full operation. XTRF Support hasn’t heard from us all day, and it’s now 4.30 and the team has finished all of their work early. I think they deserve an early day! Hopefully, it will be a nice weekend for everyone. Nothing really interesting to report this week. Oh, wait. A Skype message pops up and it’s one of our PMs telling me “I love invoicing in XTRF”. 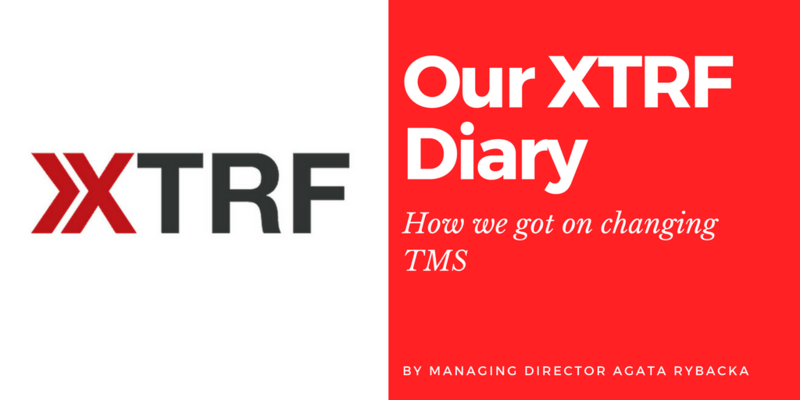 If you’d like to learn more about XTRF and how it’s helped us and our workflows, all you have to do is ask!